I was just a tiny bit eager to decorate our mantel as we didn't have one in our old house, so it was a lot of fun finding what worked with the space. I used a lot of what I had on hand, and made a few things to fill in the space. 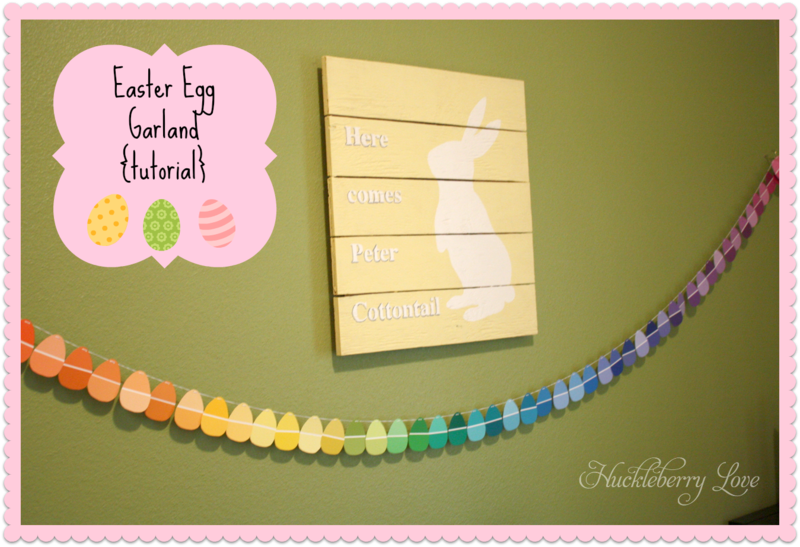 You may recognize the peter cottontail sign from this post about easter egg garland. That's hanging in our hallway niche. Anyways, I only actually went out and bought the mossy easter basket, burlap for the banner, and greenery for the mason jars. Not too shabby for under twenty bucks! My favorite project was the painted and distressed mason jars. I came across the project at our Much Ado About Monday link party and I just knew that I had to make some myself. They turned out to be super easy and I love the results! I just sprayed a few mason jars with an oil-rubbed-bronze color, let them dry, brushed on a few coats of latex paint that I had on hand, let that dry, and used a bit of steel wool to distress the edges. 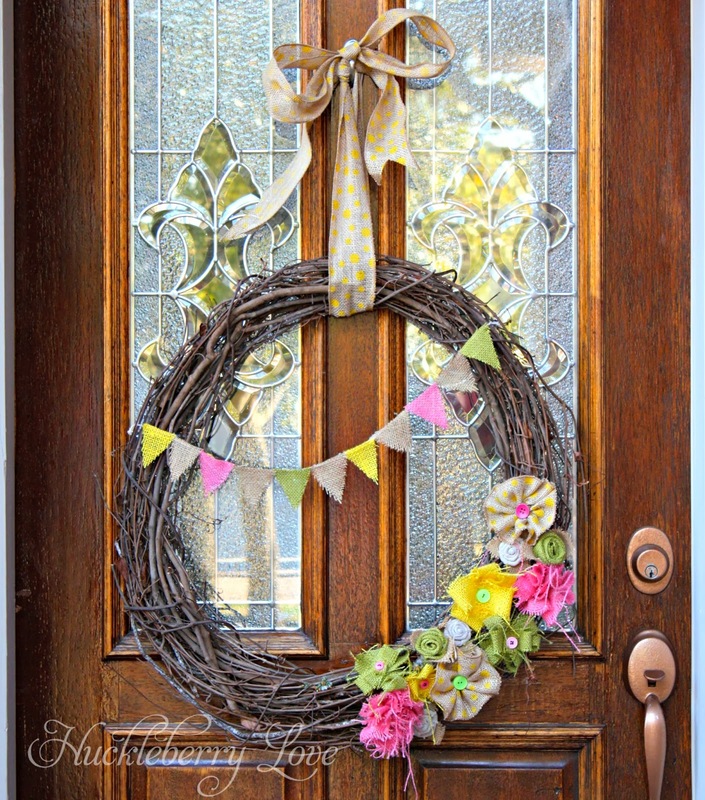 I also made a wreath, similar to Jamie's spring wreath, for my front door. I used the scraps of left over burlap from the banner on my mantel to make several types of flowers. It is just so nice to walk up to a cheerful front entrance :-) Ella wants me to make some more burlap flowers for headbands. So that's what I've got so far. At least our house is bright and cheery, even if the weather doesn't match. Have you started decorating for spring, or are you so buried in snow that you have forgotten that winter will indeed end? I'm thinking Punxsutawney Phil was right on as far as predicting 6 more weeks of winter. Pssst... Don't forget to enter our "Show me the Green" Giveaway for a chance to win a $400 Visa gift card!! 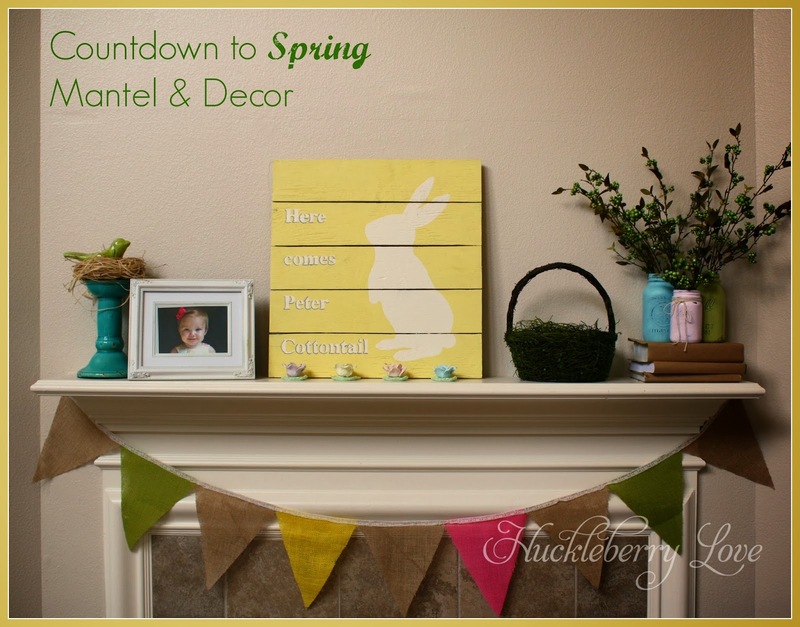 Your mantel turned out so pretty! 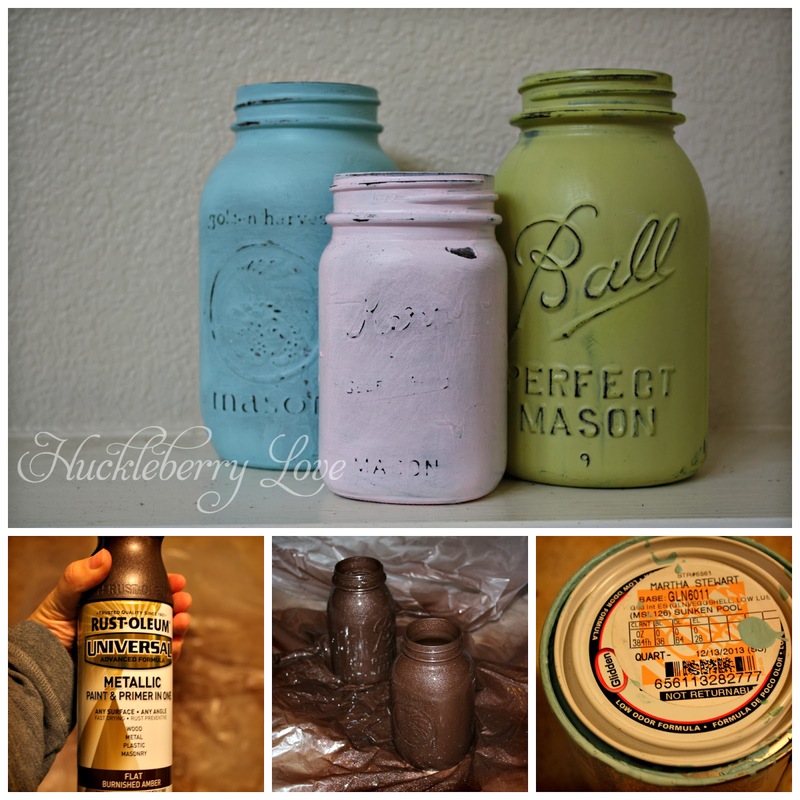 Love those mason jars and I love how they can be painted any color to work for any holiday or season.